A great choice for home gardens, landscaping, golf courses and other maintained sites, this mix of native wildflowers, garden flowers and milkweed attracts and nourishes monarch butterflies. Butterflies are prized for adding movement, color and charm to the garden. 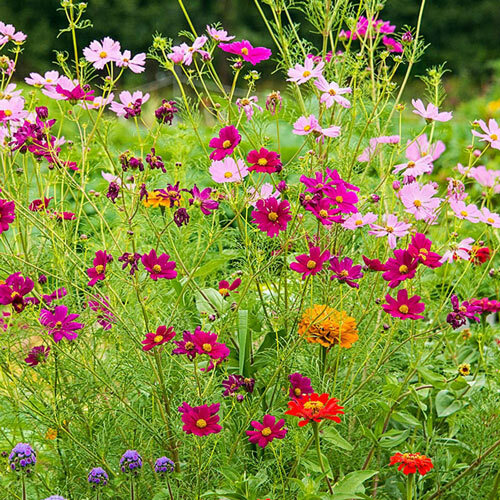 In addition to attracting butterflies, this mix adds colorful flowers to the garden and naturalized areas over an extended time period. Grows best when the seeds are planted in well-drained, fertile soil in full sun. Zones 2-9. Soil RequirementsPrefer well-drained, fertile soil. CommentsMilkweeds are utilized for egg-laying and provide food to monarch caterpillars.